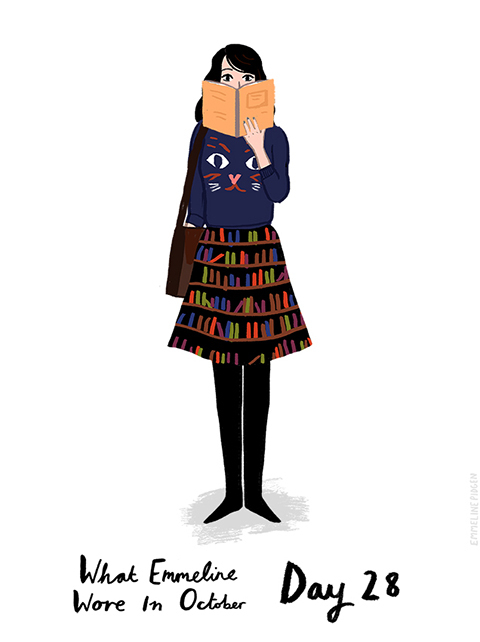 This month I’ve challenged myself to draw my entire outfit for each day in October! 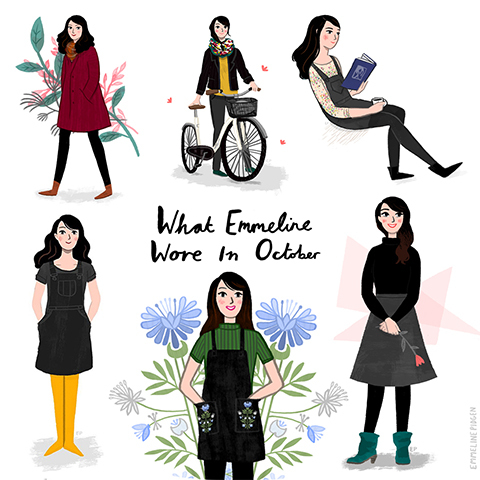 ‘What Emmeline Wore In October’ is an illustrated take on ‘outfit of the day’ and ‘what I wore’ posts you so often see on fashion and lifestyle blogs. 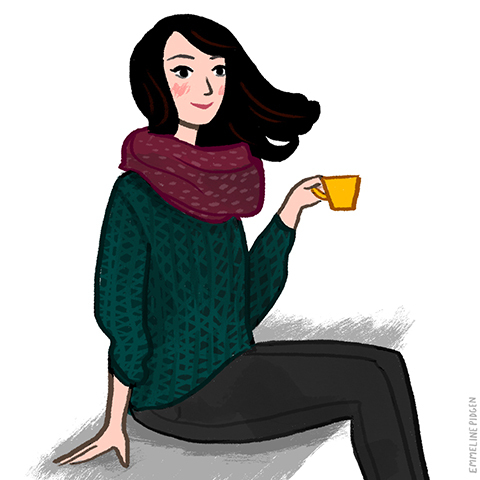 As a freelance illustrator, I’m a huge advocate of daily illustration challenges, I think they’re really valuable in finding out what it is that you actually like to draw – as well as improving your illustration work, learning new techniques and kick-starting your motivation in all areas of your creativity.